PDP eulogises late Suntai, former Taraba governor – Royal Times of Nigeria. The People’s Democratic Party (PDP) has praised the reforms initiated by late Taraba governor, Mr. Danbaba Suntai, to promote delivery of dividends of democracy to Taraba people. The reforms would not be forgotten, a faction of party lead by the National Caretaker Committee under Sen. Makarfi, stated in a condolence message issued on Sunday in Abuja by its National Publicity Secretary, Mr Dayo Adeyeye. 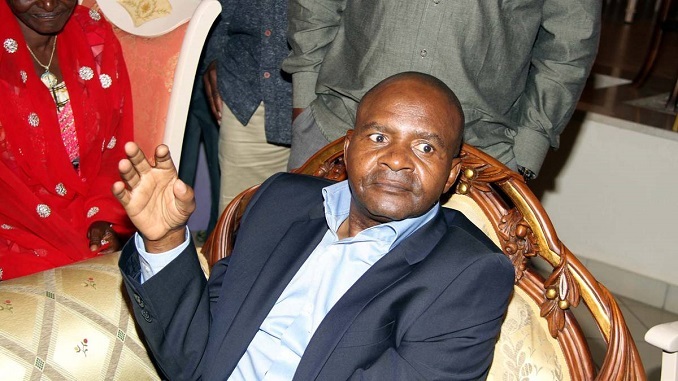 Suntai, 56, died on Thursday of complications from injuries he sustained when a plane he was piloting crashed on Oct. 25, 2012, in Yola, while in office as governor. The committee-led by Sen. Ahmed Makarfi condoled with the Gov. Darius Ishaku, the people of Taraba and the family of the deceased former governor. “As Governor of Taraba, the late Pharmacist initiated reforms to make local government administration more independent and transparent, among other lofty ideas aimed at delivering good dividends to his people. “For instance, Suntai ensured that pensioners in the State were paid regularly, and the Pension Bill reduced from N33 million to N22 million before he left office. “It is noteworthy that in 2009, Suntai established the Computerised Stone Crushing and Asphalt Plant in Taraba to provide enough raw materials for the construction of roads, houses and other related matters in the state. “The former governor no doubt, did his best to provide for his family and served the state well,” it said. Late Suntai was elected in 2007 as the Governor of Taraba on the platform of PDP. He was re-elected in 2011 but could not complete the term due to the plane crash which incapacitated him.